Over the holidays I wrote a tiny ray tracer in Rust. A ray tracer is a program that renders a 3D image by simulating the way light travels between light sources and a camera. Advanced versions of ray tracing techniques are used to render 3D movies such as the famous Pixar ones. Rust is a language that is designed to be safe and fast. 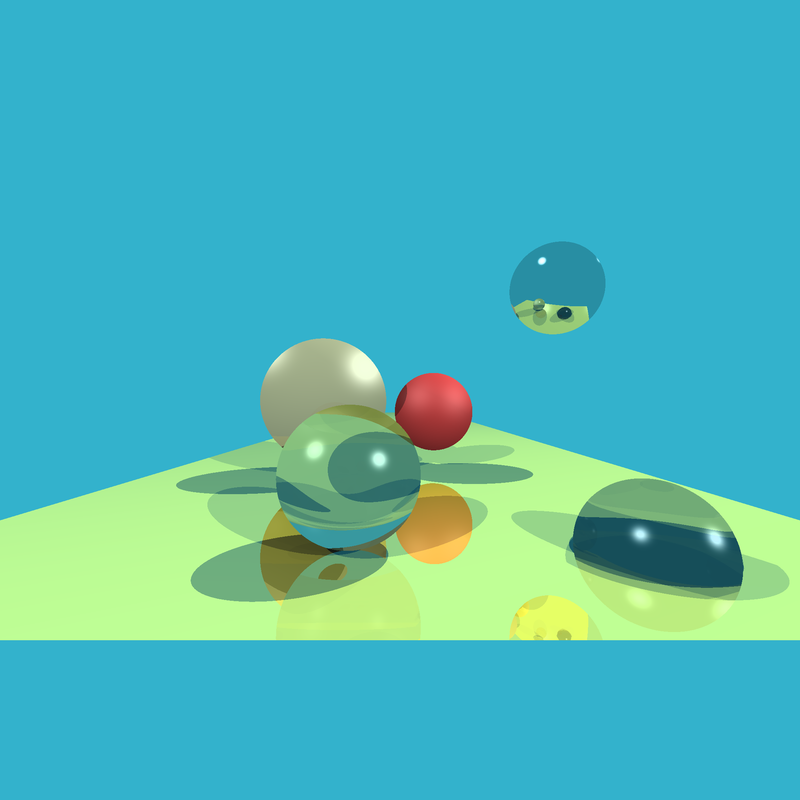 Writing a ray tracer is a good exercise to learn a new language, as it exposes you to various aspects of the language: how to deal with type conversions, numeric operations, objects and references, and concurrency.